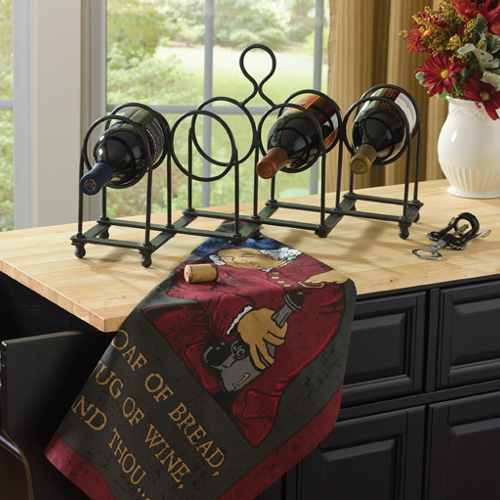 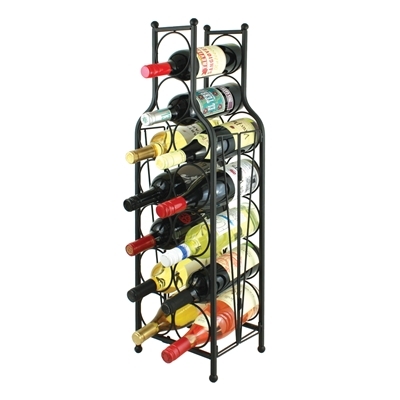 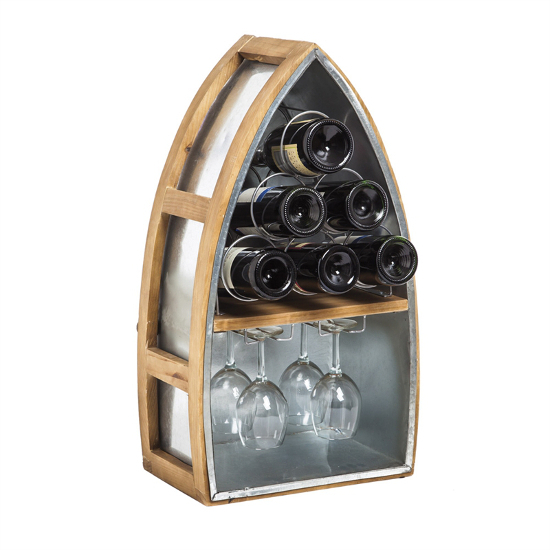 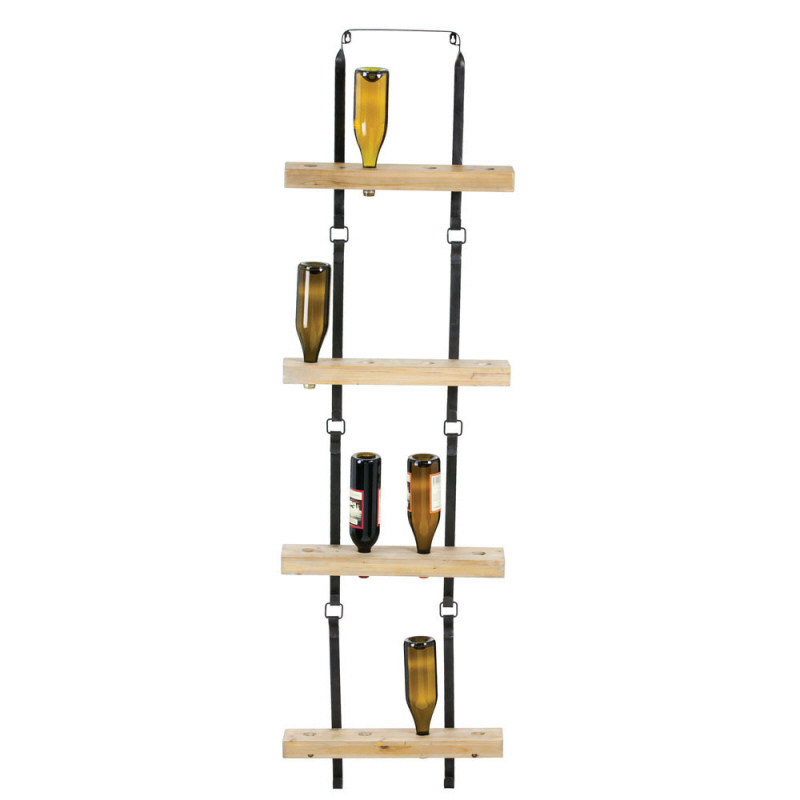 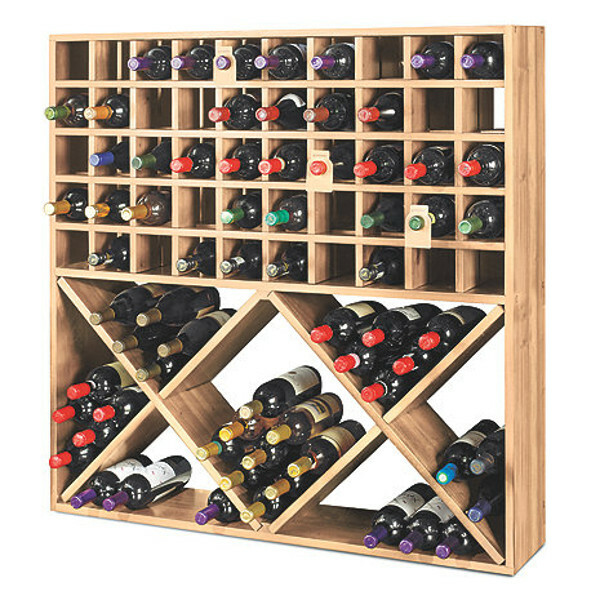 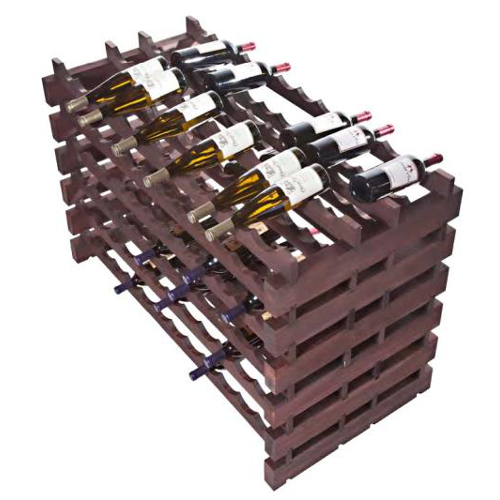 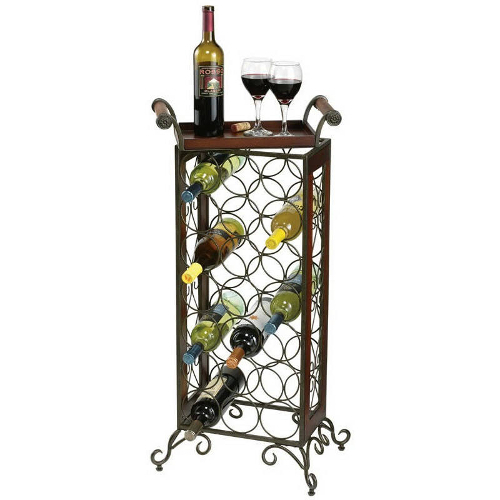 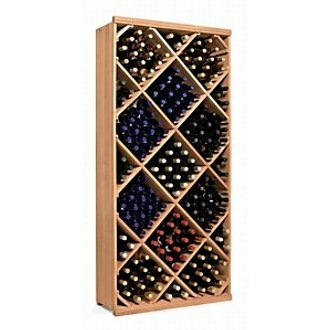 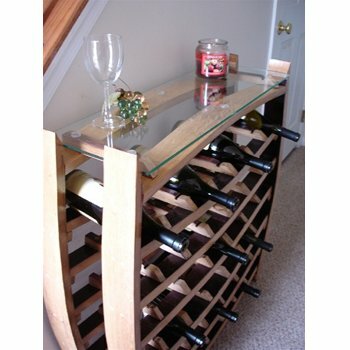 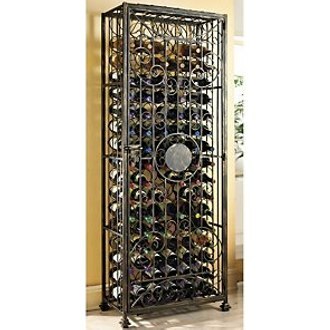 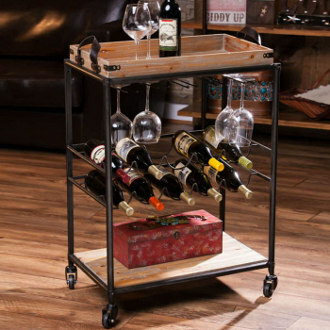 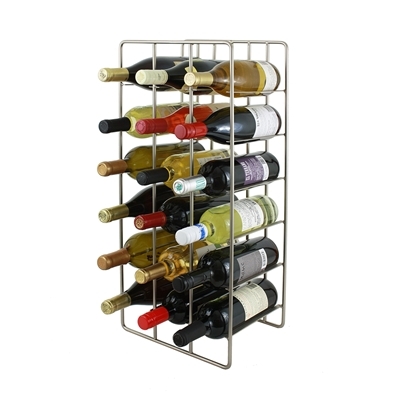 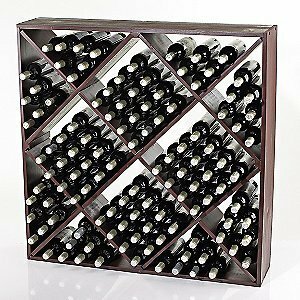 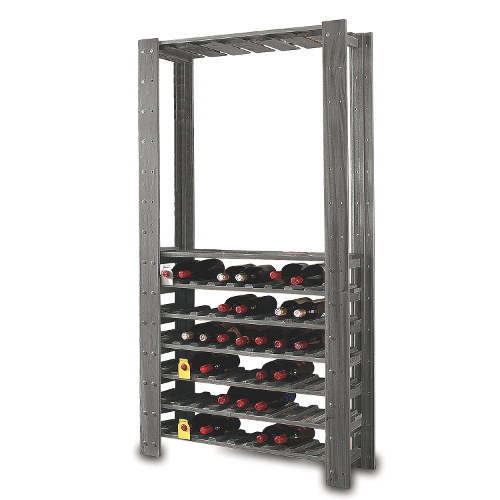 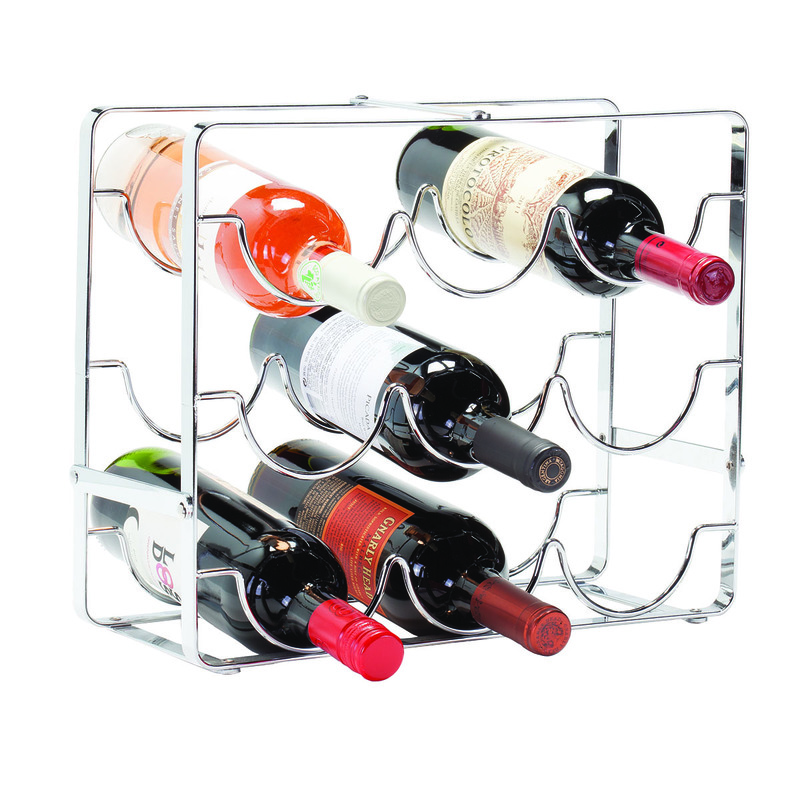 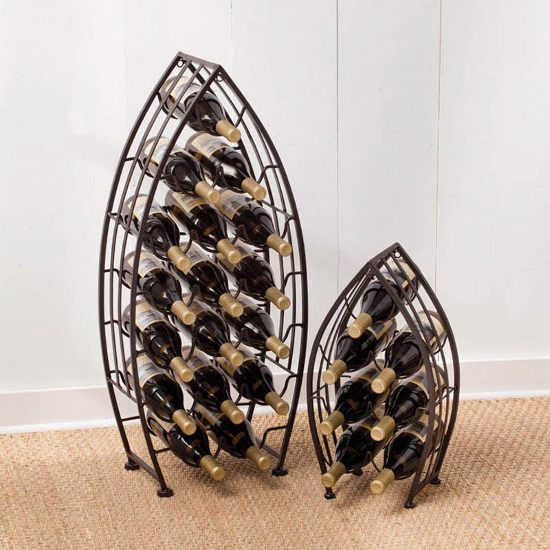 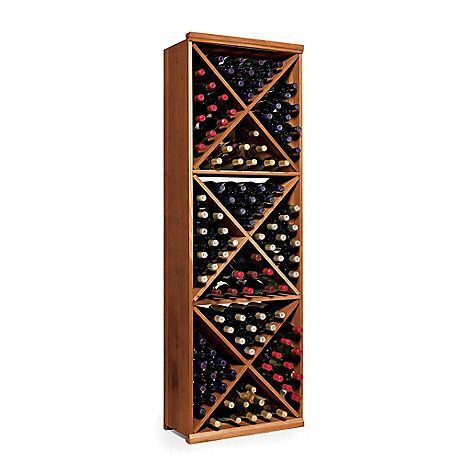 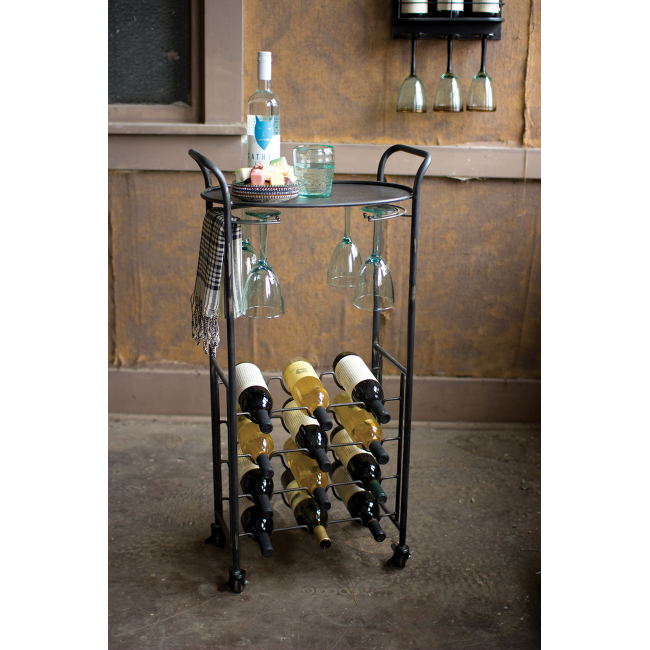 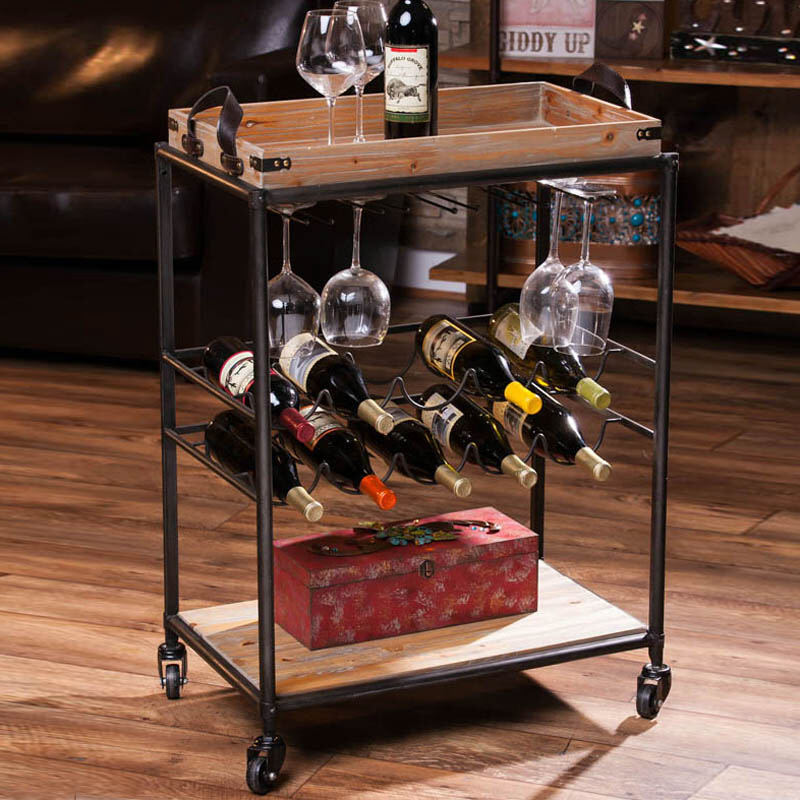 Great-looking wine racks are a must if you like to collect and serve wines. 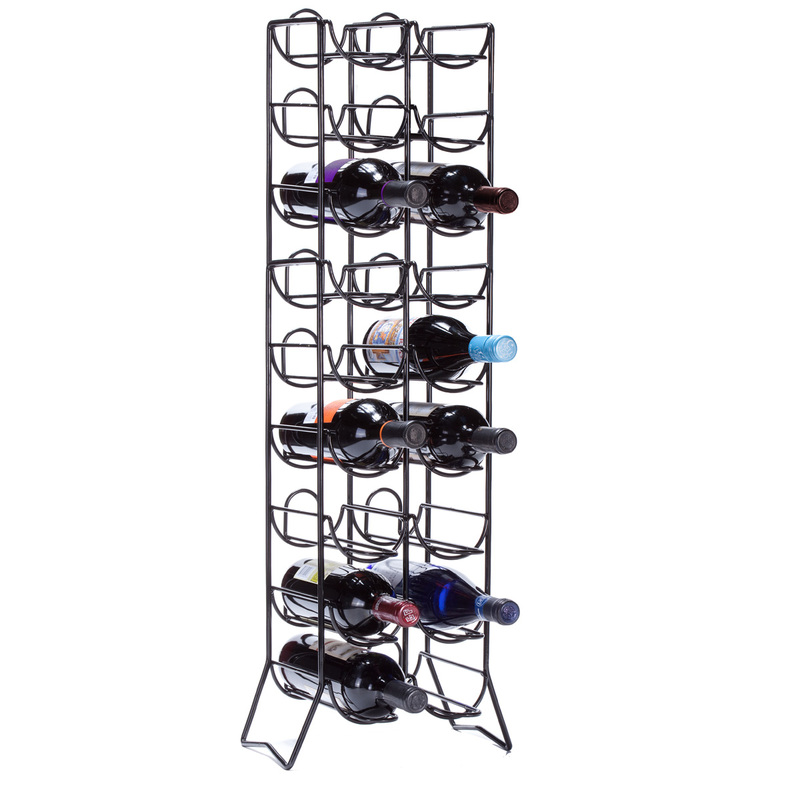 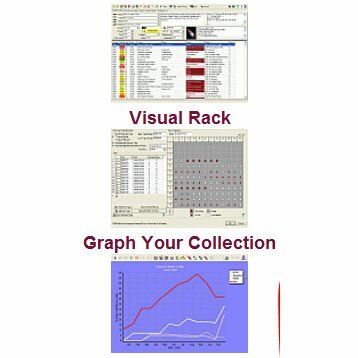 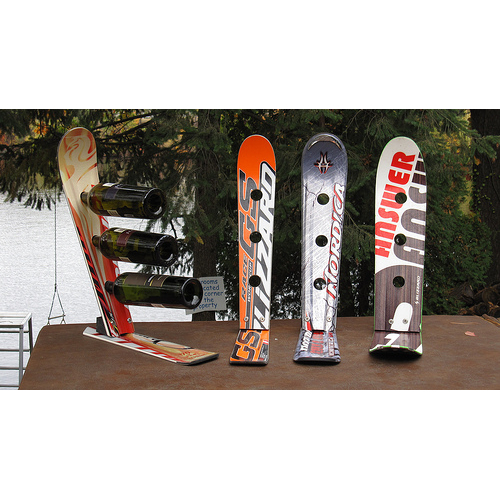 They come in all sizes and shapes, making it an easy task to select a rack with a function that works for you. 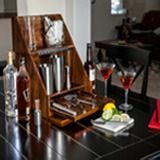 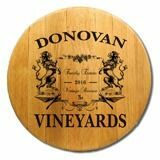 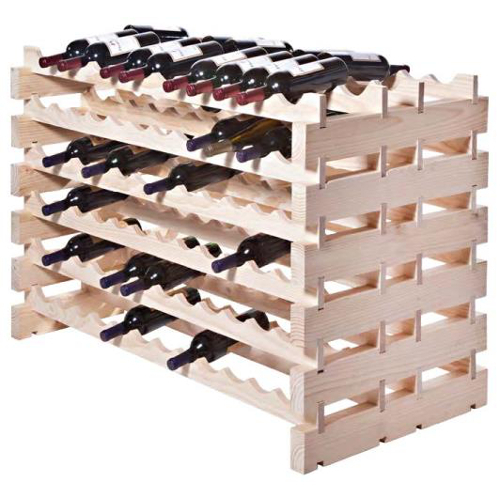 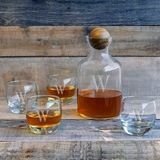 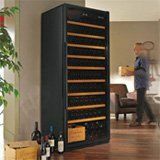 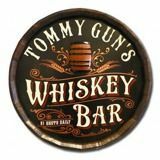 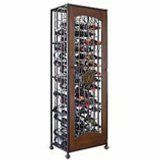 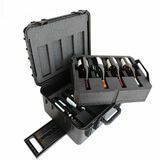 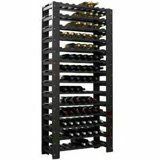 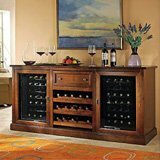 You can choose from wine racks that hold only a half dozen bottles or large racks that store cases of wine, or even hundreds, of wine bottles for use in your wine cellar. 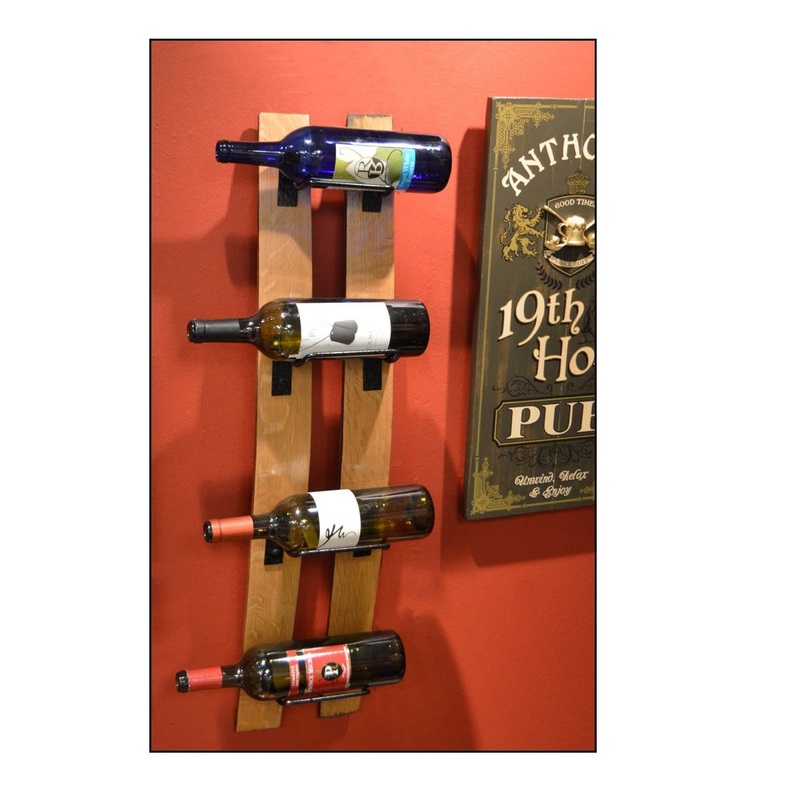 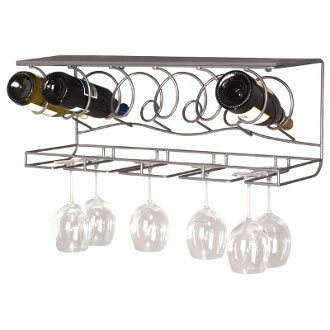 Some wine racks for household use are designed to mount on a wall; others can hang from the ceiling. 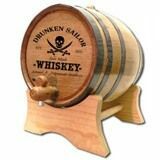 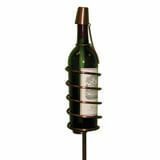 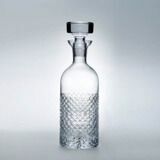 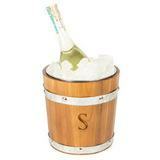 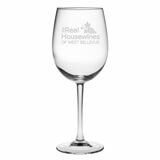 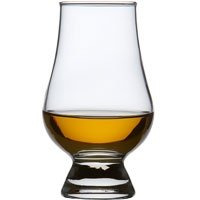 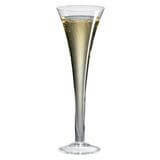 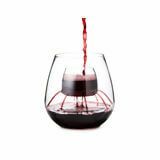 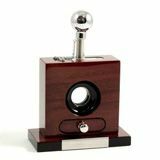 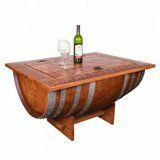 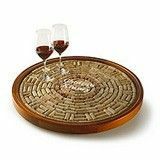 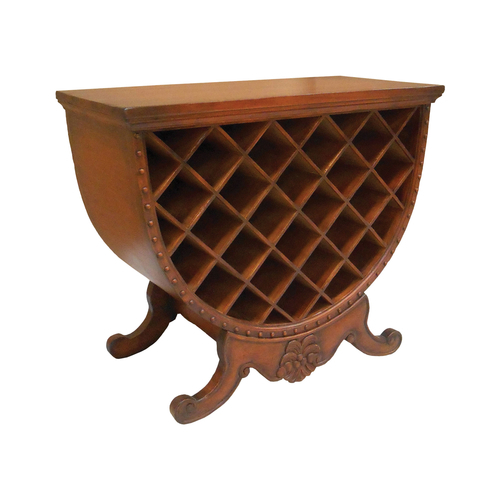 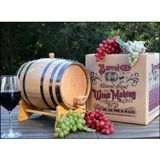 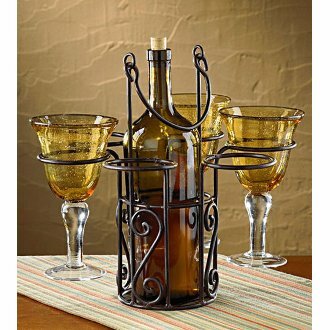 Still other styles of wine holders are simple designs for use on the table when serving wine to your dinner guests. 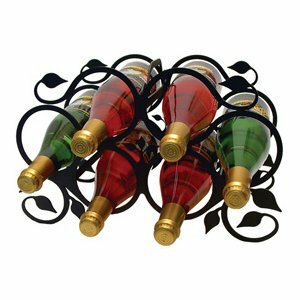 There are wine racks available to match nearly any style or decor. 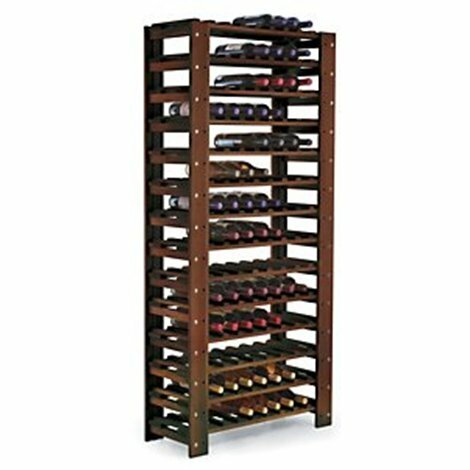 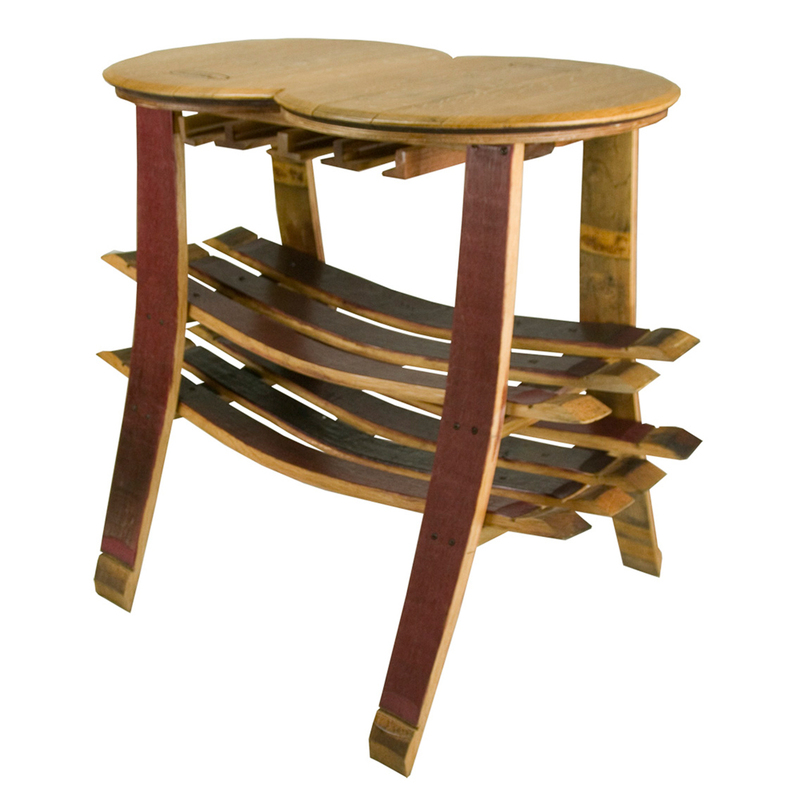 You can select from racks that offer a modern, country, antique, or vintage appeal. 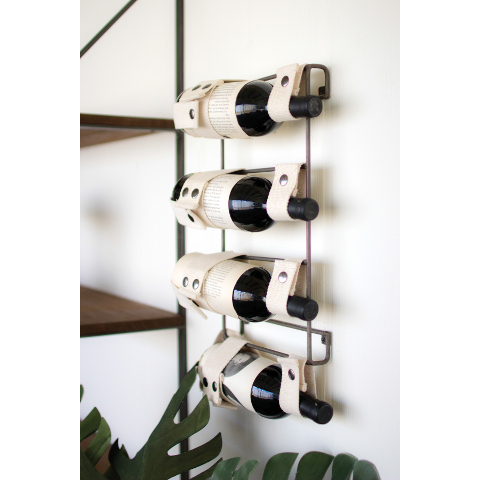 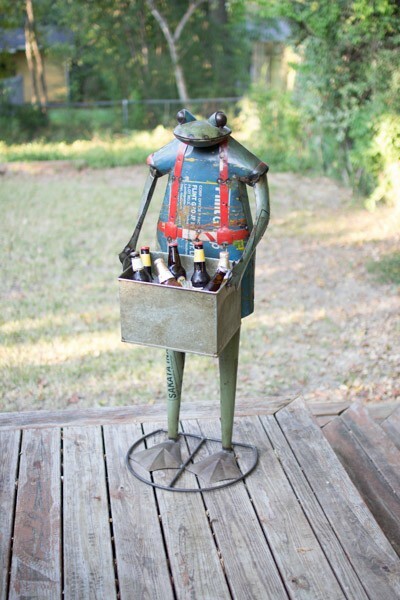 But no matter what your taste when it comes to decorating – conservative, extravagant, or more on the eclectic side – you can find a wine rack that matches your style. 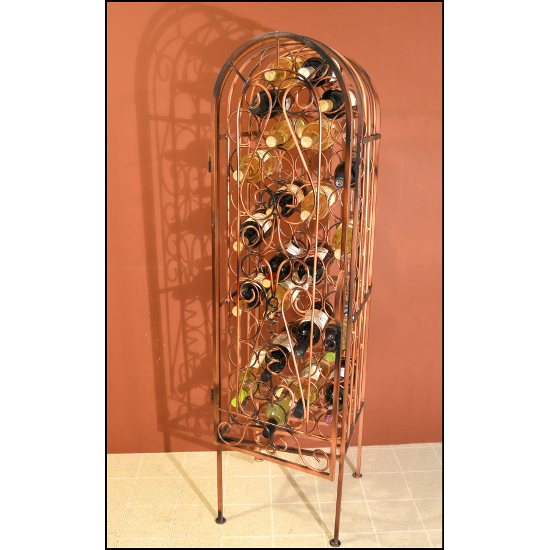 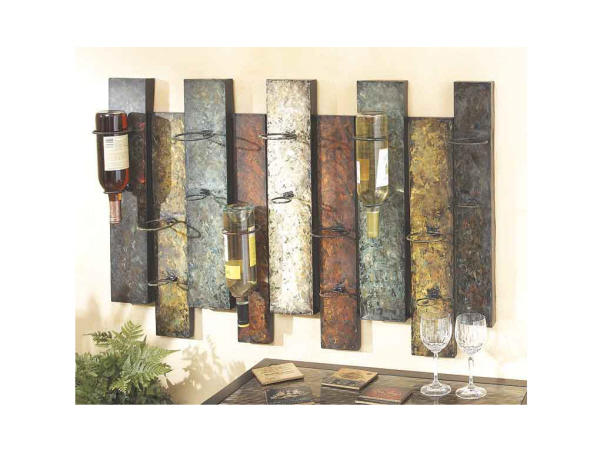 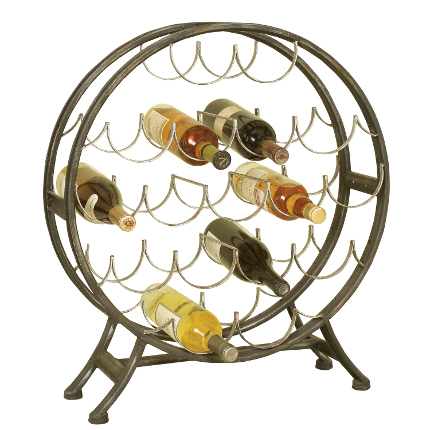 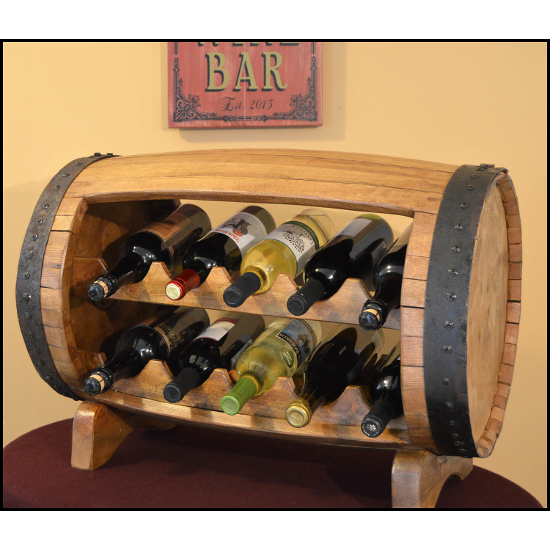 Besides its aesthetic appearance, a wine rack can be a great conversation piece. 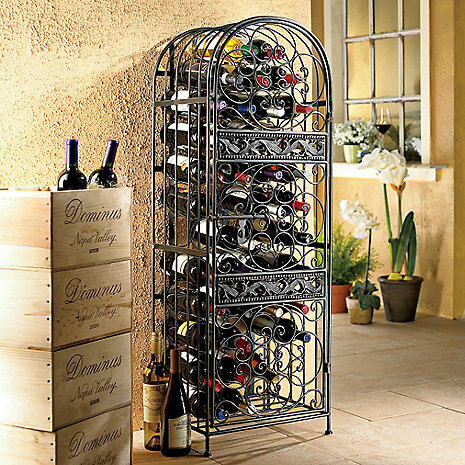 Imagine having a wine rack that looks like a jail with all of your wine bottles sitting behind bars. 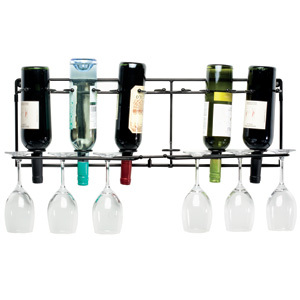 Think about the conversations a wine rack like that might start. 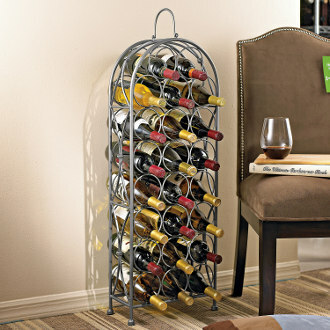 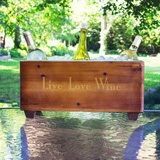 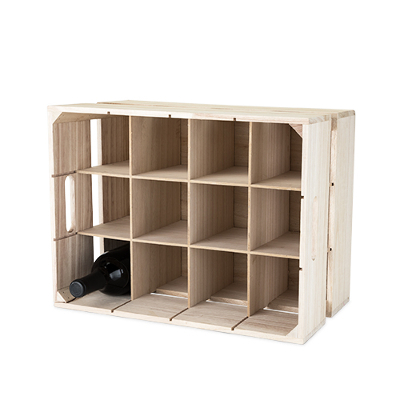 Choose from wine storage racks that hint at your personal hobbies and interests. 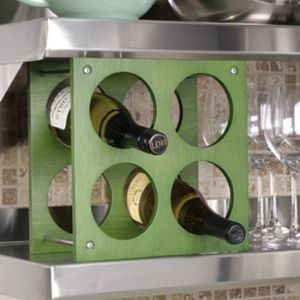 Your choice of wine racks gives guests who come into your home a peek into your personality. 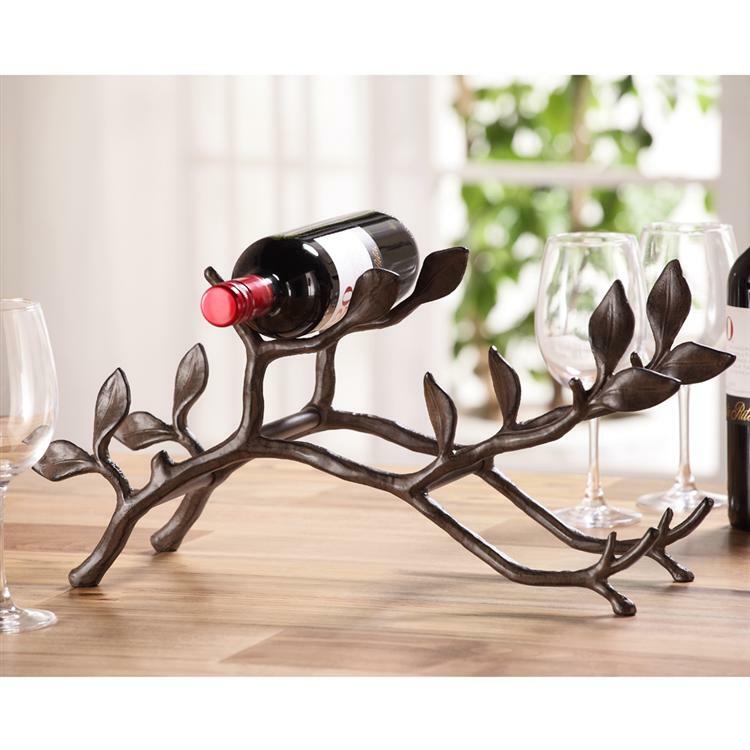 For example, if you hunt, a wine rack that looks like deer antlers might be right up your alley. 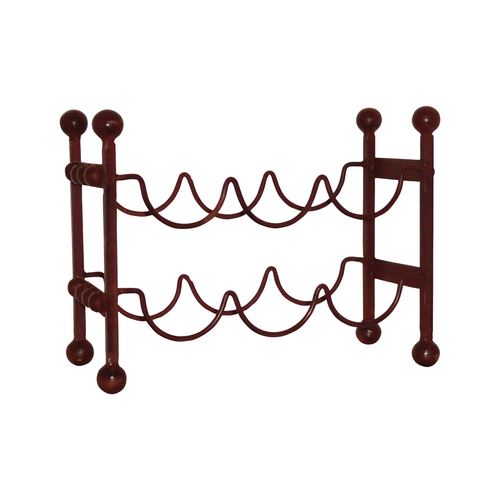 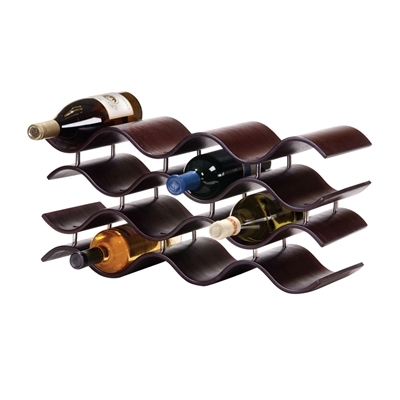 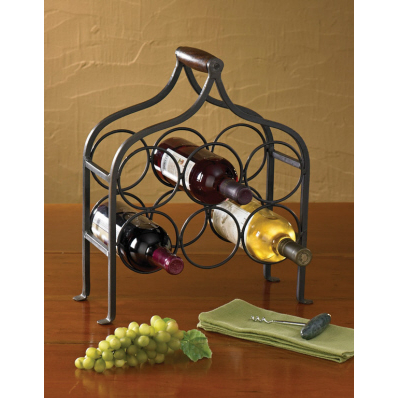 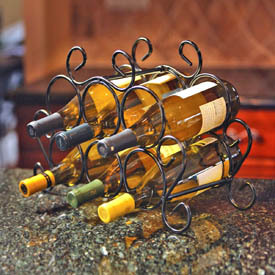 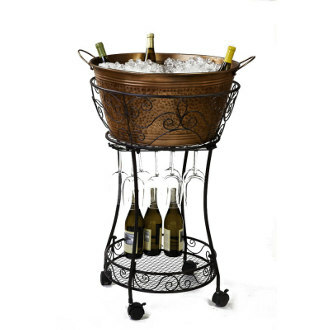 Maybe you like to ride horseback, so you show off your wine in a rack that looks like horseshoes. 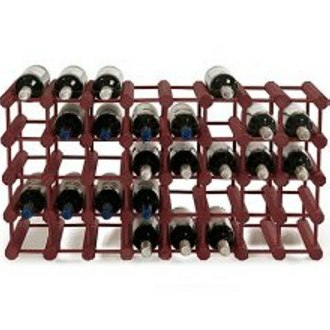 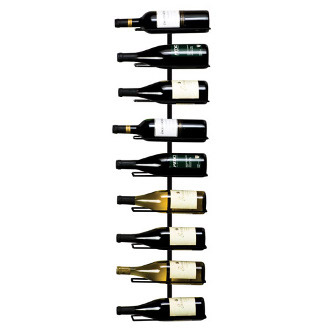 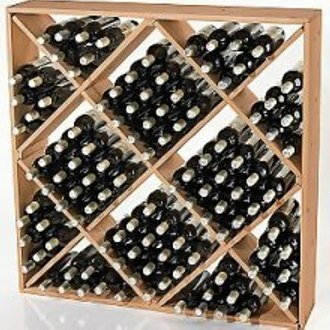 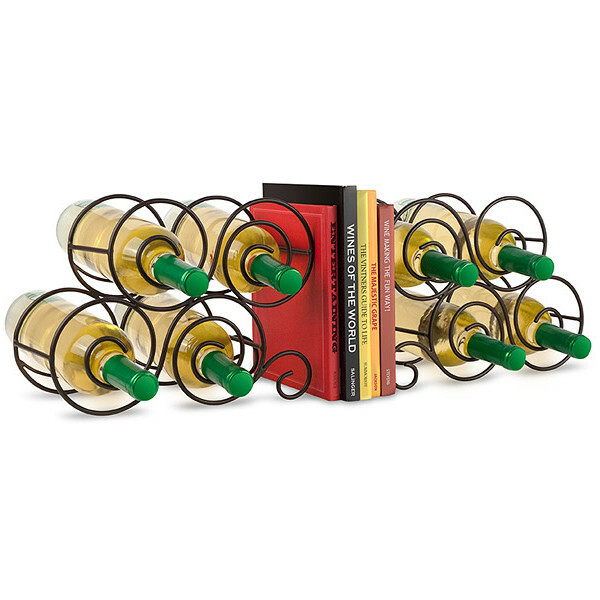 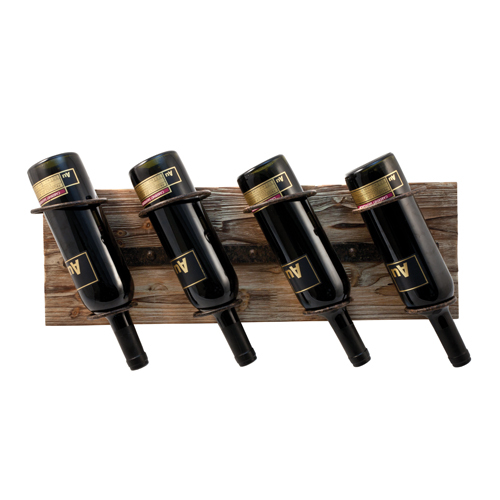 Creative, unique, and fun-themed novelty wine racks make excellent gifts as well. 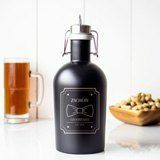 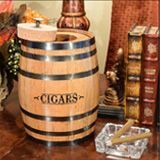 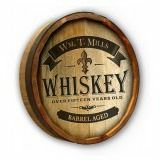 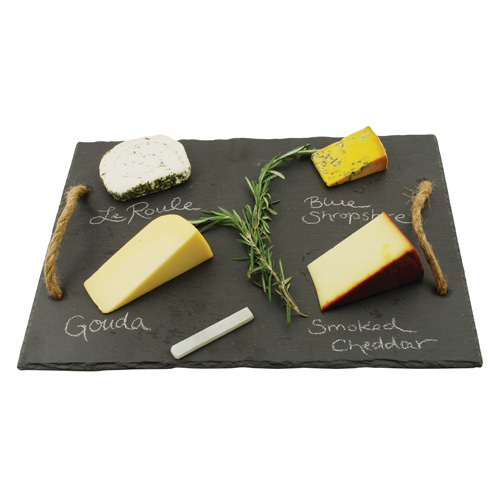 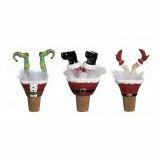 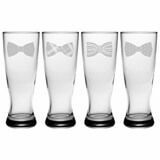 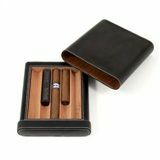 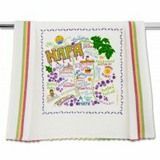 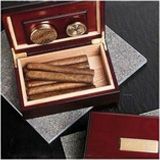 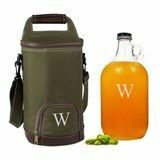 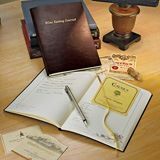 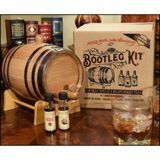 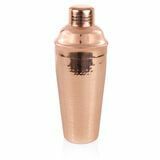 You can include them in your holiday shopping or give them as gifts on other special occasions. 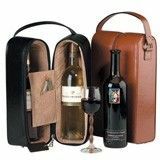 There is nothing like giving a gift that matches the recipient's personality. 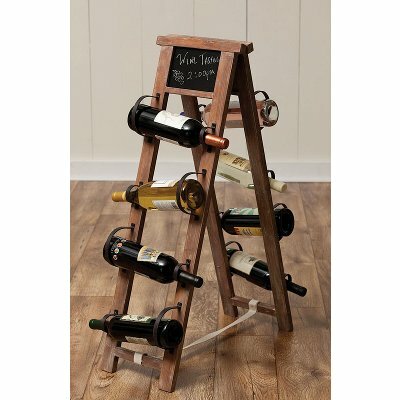 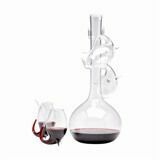 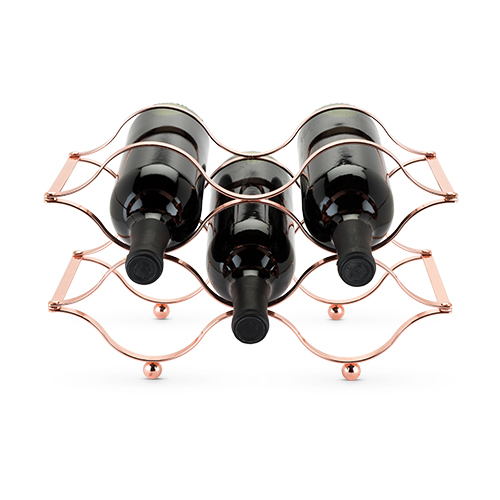 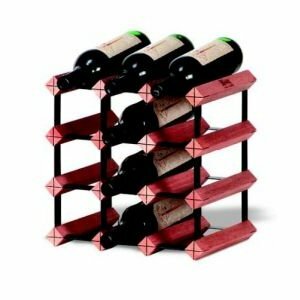 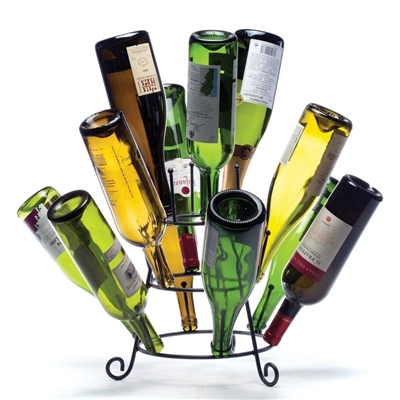 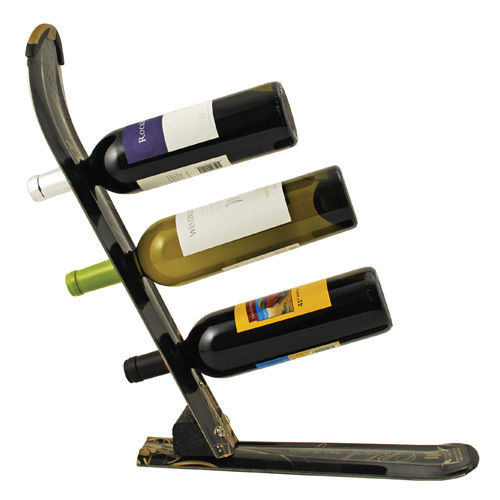 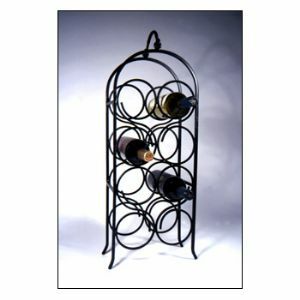 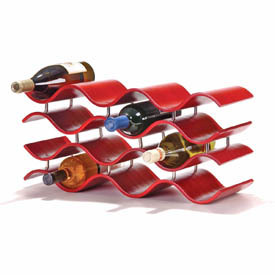 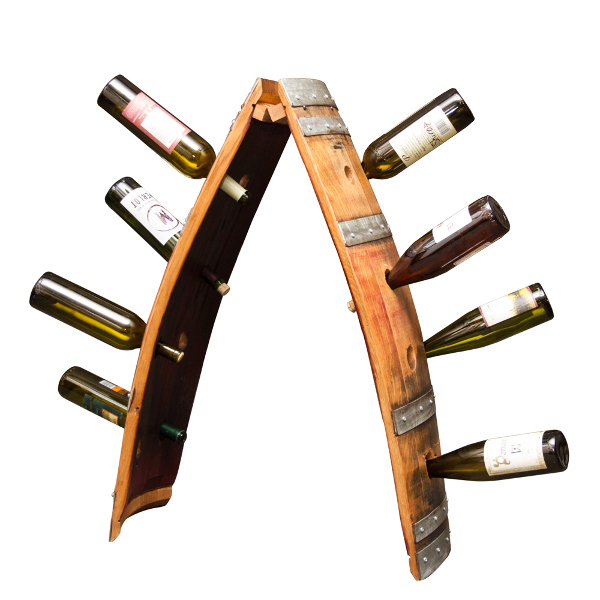 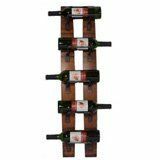 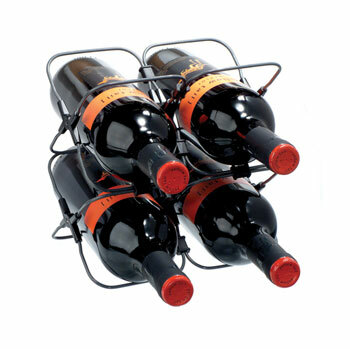 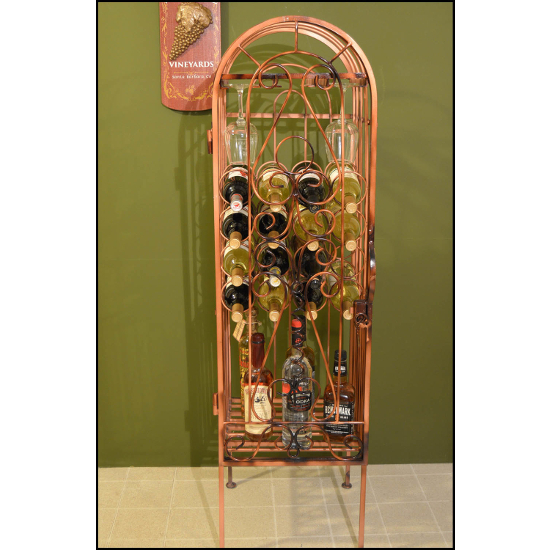 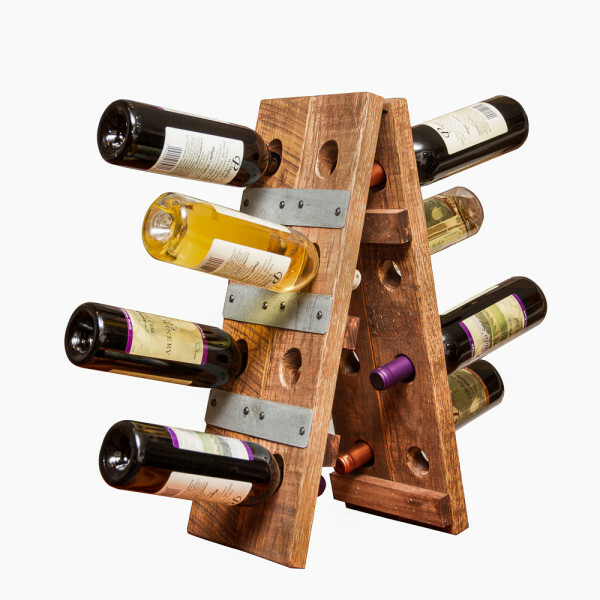 If you are looking for a gift the person won't want to exchange, give an unusual wine rack. 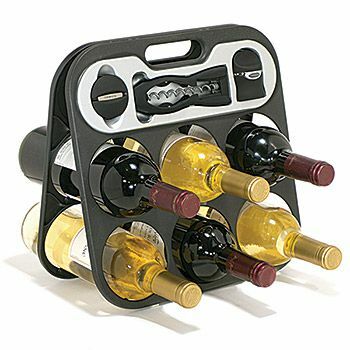 And don't forget to include a bottle of good wine with it.